Over the last 2 years or so Deb has sold 2 properties in the Cairns area for us and we found Deb to be very professional in her approach in obtaining the best price. We are more than satisfied with the way Deb handled the properties and would have no hesitation in recommending her to anyone that is in the market to buy or sell a property. Thanks very much Deb! Deb Duffy has recently sold our home for us in Redlynch, Cairns where recently the market has experienced a downturn as in other parts of Queensland.We were extremely happy with her enthusiasm and she was positive and honest with the market information that she was passing on to us.Her market knowledge of the Cairns area was expansive and this was reflected in the effort she injected into our sale.She followed up every person that came to view the house and encouraged people to have a second visit after they had explored other properties. Her very positive attitude and friendly manner with clients was most welcoming. She focused on what the buyer was looking for as well as looking after our interests,I would recommend Deb to anyone selling in our area. Deborah was very professional and was consistently available throughout the whole process. She had answers for every question which gave me great confidence and made the whole process simple and smooth. When dealing with estate agents in Cairns - deal with the best, deal with Deb Duffy! Deb's knowledge and expertise of the local Cairns market is exceptional! Her years of experience are an asset when buying a property and her many years in the industry was a tremendous help to me. Right from the start Deb was prompt, reliable, flexible with my work hours and always available. Deb always answered my phone calls and was in constant communication with me throughout the process of the sale. Although working for the seller, it felt like Deb was working for me as she was so committed to getting a great result for all involved in the sale. Deb gave me great service and I am delighted with my purchase. It was good to do business with Deb Duffy. I would highly recommend dealing with Deb if you want to buy or sell a property here in Cairns.So if you are looking for the best in Cairns Real Estate, someone with the ability to get you results you really want I would not look past Deb Duffy! Deb was a great help and I would definitely recommend her to any buyer or seller. Deb was down to earth, honest and reassuring throughout the entire process of listing and selling my house. She took care of every detail and came through on what she promised. I couldn't have been happier with the end result - happy seller, happy buyer! Deb answered my queries promptly and went out of her way to help me even after the sale was finalised. Deb made buying a property extremely easy and stress free!Great service and will recommend her to others. Thank you Deb! At the end of the day Debbie achieved a good price for our property, on time and under rather demanding circumstances! Deb was recommended to me by a friend. I found Deb to be very helpful at all times through the sale. Deb always answered my messages that I sent her, she is truly committed in helping & assisting you. Deb is truly behind you and is upfront, honest and willing to give good advice to assist you. Thanks Deb for being a great agent and being so helpful through the sale. Cannot ask for better service will deal with again and again!Thanks Deb great job! We were delighted with the results achieved by Deborah Duffy Estate Agent with the sale of our investment property in Yorkeys Knob. Trish had looked after the property extremely well for us when it was on the holiday rental market for many years and I was certain with her enthusiasm, drive and tenacity that we were in very good hands for the sale of the property. As this was an investment property that was tenanted – and I was based interstate – Trish undertook many things well beyond the scope of the sale – liaising and securing tradespeople as required for various works, liaising with the tenants and generally going well beyond what would be considered the role of the selling Agent. Indeed it was all these factors that achieved a successful sale of the property. I could not recommend Trish more highly for her work ethics and the outcome achieved. And I mean every word Trish – THANK YOU for everything you have done over the years. I was so fortunate to have you looking after the property in a variety of roles over the years. Our agent was great! She keep us up to date on what was happening at all times and was very knowledgeable about the real estate industry. Deb Duffy was known to my husband through his work and he always said she would be the one we would get to sell our home. Thank you so much, Deb Duffy. Deb was prompt and professional with every aspect of the sale. Highly recommend her to any seller! I really appreciated Deb's communication and local knowledge with the sale of my property. It was just super easy and I would use Deb again and any time. Very happy customer. Thanks Deb. Deb was conscientious, knowledgeable about her patch and experienced in selling to investors looking for returns. She’s straight with no Polly Waffle. Great job Deb Thank you. Deb made a sometimes awkward and frustrating process an absolute breeze. From start to finish the communication was excellent and all of the paperwork and headaches where managed easily and efficiently. Thanks a million Deb! A great real estate agent very happy with the assistance given and communication. Deb Duffy was a pleasure to deal with. She is reliable and professional. Selling our property promptly and ensuring the process was smooth and effortless. Deb was fantastic, I have known her for 20 odd years and she continues to excel at her passion. We were very happy with Deb's professional service. Nothing was too much trouble, always available, a great negotiator and we would happily recommend her. I have used Deb, several times now, and am super impressed every time. She is honest, reliable and 100% committed to achieving the best results! FANTASTIC AGENT! After almost 4 years on the market, 3 different agents, and 2 failed contracts - Deb had an interested buyer for us the morning after we listed with her! We would happily recommend Deb to any seller (or buyer!) and will be checking in with Deb as soon as we are ready are to buy again. Great result - thanks Deb! A GREAT RESULT! I am happy I chose to go with Deb Duffy to sell my house. She negotiated a great price in a short amount of time. We followed her advice on presentation and it worked. I was really happy with her communication throughout the whole process which made the experience stress free for us. If you want someone who knows where the market is really at, it is Deb Duffy you want to use. GREAT AGENT! A very pleasant experience! Deb answered any query immediately and was always available. Very quick sale and we would not hesitate to recommend her to anyone. EXCELLENT & FIRST RATE! Excellent local agent. Proactive for both seller and buyer, Prompt and efficient dealing between parties, our experience has been less than moderate with several local agents and both my partner and self will not hesitate to promote and or recommend to others. Thank You Deb! VERY SATISFIED! I found Deborah to have great local and property knowledge, which was an advantage for me as an investor selling from interstate. She was able to liaise with the local property manager managing my unit, which was helpful in terms of establishing a timeline to sell at the most opportune time, with both tenant contracts and the Cairns buyer market in mind. She has a friendly and upfront manner and approach, and I would certainly recommend her. GREAT AGENT! Great agent, took care of every aspect, was able to negotiate an acceptable sale price, allowed us to sit back and attend to our lifestyle. Would highly recommend Deb as your Agent. THE PRIME PERFORMER! Thank you Deb for taking on the very hard task of selling my low market unit. It was a task that I knew only you could achieve. Thank you for your constant effort, your willingness to keep me up to date with a follow up on every inspection and enquiry. Thank you for being you! GREAT AGENT! If you want to sell your house call Debs, she will bend over backs to help sell your property. Debs knowledge and experience is amazing give her a call. AGENT WHO GETS RESULTS! Deb was very helpful and professional in the purchase of our new home. We would recommend her to anyone that is interested in buying/selling a property as she'll strive to get the best price and 'go the extra mile' to ensure that you are looked after. SHE'S CAIRNS LITTLE GEM! Transparent, clear and open, incredibly professional, experienced and motivated. Deb was clear in her communication and was always available for any questions. From dealing with my tenant and other property managers, nothing was a worry or a concern for her. Truly appreciative of the successful advice and quick sale. Thanks Deb, you?re the only one in Cairns Id trust to buy or sell! GREAT AGENT! Deborah was great and very helpful. Very pleased with her services and highly recommended. I placed my property on the market with Trish Cowin and could not be more than happy with the outcome. I found her very professional and easy to speak to her because of her pleasant business attitude. I would recommend Trish to anyone wanting to deal with a Real Estate Agent. TERRIFIC AGENT... .A REAL DEAL MAKER! Trish Cowin has been a personal friend of ours for some years. It has been a natural progression for her to move to sales after an extremely successful career of property management. Trish demonstrated exceptional people skills to sell a property for us on the Atherton Tablelands, which other agents had found too difficult. She more recently sold a block of land for us that had been on the market for some time with other agents. Trish has proved that with honesty, professionalism and her bubbly personality, that she is very capable of putting a deal together and in our two cases, successful for all parties. We were very happy with the way the purchase went, very professional and helpful, very quick with response. PROFESSIONAL AGENT! Deb Duffy acted with professionalism at all times in the sale of our house. We needed a quick sale and she was able to get us a buyer with a fast settlement in a very slow market. I would highly recommend Deb to anyone wanting to have a dedicated agent who acts with integrity, knowledge of the market, consistency, and dedication. Deb kept us informed every step of the way. Thank you Deb for all your hard work. House sold!!! COMMITTED AGENT! Deborah Duffy from the initial meeting was professional and committed to the sale of our property. She communicated regularly ensuring we were updated as information became available. I would recommend Deborah Duffy as a passionate agent who works hard for the seller. Thank you Deborah! Great Agent!I couldn't be happier with the service I received from Deb in relation to the recent sale of my property. Deb kept me well informed from start to finish and negotiated a sale price I am very happy with. From listing to settlement was a short time frame and Deb's work made it practically stress free for me!! Thanks Deb!! Hard working and helpful!Deb was a great agent who kept us up to date with the progress of our sale. Reliable and knows her market! VERY EFFICIENT! Thank you Deb for selling my property. I have been very impressed with your professionalism, in particular, the response time to any queries I had. I would not hesitate to recommend the use of your services, to anyone thinking of selling. Thanks again! ABSOLUTELY AMAZING! As a first home buyer I am so happy to have to have dealt with Deb. Her knowledge, great negotiating skills and communication are what allowed me to make my first purchase a success. She was able to bring the price down. Save me money and advise me every step of the way. I would highly recommend her to anyone thinking of buying! GOOD OUTCOME! Very happy with the service and area knowledge. Deborah is an excellent agent and I would use her again! AMAZING TO DEAL WITH! We came to Cairns from Sydney for a weekend and ended up buying a property from Deb. Deb was honest, upfront, and extremely flexible. We communicated mainly by text and emails and signed the contract at the Airport on the Sunday that same weekend. Deb remained in contact through to settlement (26 June), she never tired of my painful texts and emails. This was our first investment and Deb made everything so easy. I highly recommend Deb to anyone who wants to purchase a property in Cairns. Thank you for everything Deb Duffy ? Deb was great with communications, honest and friendly! FANTASTIC OUTCOME! A great result. Plenty of time was put in for professional photos and advertising. It was a good plan put forward by Deb that gave a positive result. Happy days. Pete. SOLD!!!!! thank you Deborah for selling my investment property, a job well done & much appreciated! VERY PROFESSIONAL! I found Deb to be very professional and an extremely good communicator. Deborah was quick with the sale process of my property from start to finish. She knew her stuff and negotiated well for me. I'd use her again. An agent who knows her stuff!An erstwhile agent who left no stone unturned and was willing to go the extra mile for us. Even after the deal was completed. Awesome agent! Deborah did an amazing job in selling my property. I was very impressed with the whole process and would recommend her to anyone who is selling a property in Cairns. AWESOME EXPERIENCE! Deb went above and beyond in her service. I am based in Melbourne and Deb did a lot of running around with requirements for the sale that would normally have been handled by myself. I was kept informed all the way and highly recommend Deb's services. Very professional and a great support. Deb was nothing but professional. Throughout negotiation process Deborah was always prompt with responses. At all times I felt very comfortable in phoning with any queries relating to the sale, therefore communication was 10/10 . I am very happy with my purchase and would highly recommend giving Deborah Duffy a call if you are buying or selling. Thank you for making my purchase so easy. Debbie made the whole process so easy, kept us informed every step of the way. Totally happy with the service and would highly recommend Debbie to anyone. Highly recommend Deborah for her extensive knowledge and good communication skills in selling our property. Helpful and always available for information and advice. I was well looked after and satisfied with everything. Deb was professional, friendly and very obliging with any request I made. Sincerity with negotiation! Deb has been willing to go the extra mile. BEST AGENT EVER! Over the last 2 years or so Deb has sold 2 properties in the Cairns area for us and we found Deb to be very professional in her approach in obtaining the best price. We are more than satisfied with the way Deb handled the properties and would have no hesitation in recommending her to anyone that is in the market to buy or sell a property. Thanks very much Deb! VERY HAPPY! Buyer Review - Recommended by Brian Lee 24 November 2016 This is Brian, replying on behalf of my mum. She's very, very happy about the whole shebang and thanks everyone involved. Personally I'll also be recommending your services to others seeking an agent. Good job well done and it's my first shout. Young Brian. We went with Deborah to sell our house and we couldn't have been happier Deborah took care of everything and kept us informed the whole time. Deborah is a lovely and honest person and I recommend that anybody wanting to sell their house can't go wrong with Deborah Duffy. Deb made buying our first home a breeze. Despite being the agent for the seller it felt like she worked for us and helped us through the process to buy our first home. Couldn't have asked for more and she took the stress out of the process. Thank you Deb! VERY HAPPY WITH OUR PURCHASE AND THE AGENT We are very happy with how Deborah Duffy handled our purchase, sometimes as a buyer you get pushy or fake agents but Deb was professional and enjoyable to deal with and we appreciate that a lot. We also received a lovely housewarming gift that just made our settlement day even more memorable, we would highly recommend. Deb was fantastic right from the get go. What impressed me the most was Debs commitment and support through the whole process, during a time where the market was pretty unforgiving towards the seller. Deb demonstrates professionalism and tremendous market insight, while supporting you through the whole process, from start to finish. I found Deb very helpful in purchasing my home, worked in with me to view the property, worked in with a builder to inspect the house and suggested lawyers and insurance brokers that would give me good service, if I didn't know any. Found Deb very easy to talk to about the area and surrounding properties and know I can ring or email her at any time with questions. Approachable, Efficient and Highly Knowledgeable! Deborah Duffy made the process of buying my first home very simple. She was extremely approachable, flexible and very knowledgeable in answering all of my questions. Deb was super efficient and really streamlined the whole process to go smoothly without missing a beat. It was really heartwarming to know that Deb had sold my parents home 25 years ago and now was helping me buy my first property. I would highly recommend Deb to anyone who is wanting to make their first step into the real estate market. Debbie got the job done in a quick time frame great job. EXCELLENT SERVICE! Deb is a straight talker who gets the job done. A small glitch near the end of our sale but Deb handled the problem and kept us fully informed along the way. Thank you Deb Duffy! DEB IS BRILLIANT! Deb is a total professional. She knows the market inside and out and got me a great sale. I was very impressed with her communication throughout the process. She's fantastic at her job! This sale could quite easily have gone pear-shaped given some of the complicated issues involved, but Deb made virtually pain free. She was helpful, attentive and went beyond the call of duty. The gift basket at the end was a nice touch too. 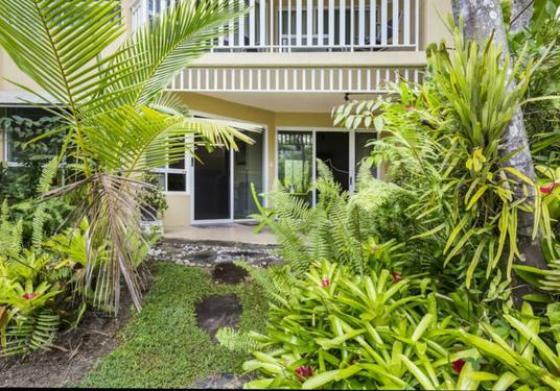 BEST AGENT IN CAIRNS Rate My Agent recommended Deb Duffy as the best agent in the Cairns area to help us sell our 2 bedroom/2 bathroom apartment in Redlynch. From our first conversation, Deb instilled a great deal of confidence and obviously knew her craft. Once we had signed the necessary paperwork, the apartment was on the market and that same day, Deb had a buyer make an offer! After some negotiation, we settled on a price we were happy with (which was $19,000 more than our last agent could manage) and within 6 weeks our property was sold. There were a few challenges stemming from the buyers building inspection but Deb helped guide us and the buyer through the process to a mutually satisfactory and successful outcome. I can't recommend Deb Duffy highly enough. We were happy with Debbie during the whole process and very happy with the outcome. We met Deborah Duffy after an uncomfortable association with another very well known real estate agent. On our first meeting with Deb we felt that we had now selected the right person to sell our property in Cairns. Deb made every thing very easy and also with her knowledge of the greater Cairns region, gave us confidence that we would achieve a great outcome, which we did. Deb handled the selling of our property with professionalism and kept us informed on every aspect even though we were interstate. We would not hesitate to recommend Deborah Duffy Estate Agent to anyone who wants professional, friendly service in the selling their property. Ken & Isobel Lawler. Extremely satisfied clients. Deb has been wonderful. I've dealt with Deb twice now, both occasions have gone through great. Deb was always quick with responses to questions. Nothing was to difficult or a hassle. Deb as a thank you had organised a gift basket for myself. It was gorgeous. I would recommend Deb as an agent. Very happy. Pete Scott. Thanks Debbie. Excellent service from listing to settlement. Would not hesitate to use her services again. Very professional is an Agent that can sell as well as list. Deb made the sale easy and thorough! I am very grateful for Deb's service during the purchase of our new home. She knows her market and knows the job and I would easily recommend Deb Duffy if you were buying or selling. She knows her stuff and that gave me peace of mind. We were very satisfied with Deb she was fantastic through all stages of the transaction. A woman of great faith through her consistent dedication in delivering results. Highly recommendable to vendors who are unsure of choosing an effective real estate agent. Furthermore, her services are tailored to accommodate your financial and situational requirements. I am really glad to have purchased my new home through Deb .Being a first home buyer I was very nervous and very unsure about things, Deb made it easy. Her knowledge is amazing and she will help you with any questions you have. If I was to ever sell my property I would definitely go to Deb. First home buyers,investors or sellers I would definitely recommend Deborah Duffy Estate Agent as a agent to see. Thanks Deborah for the outstanding job you did in selling our Redlynch property. We are extremely impressed with your determination in marketing the property with the many open homes you did resulting in the sale. Deb was great, enthusiastic, helpful and dedicated. Thanks so much for selling our house. I recently sold my property in White Rock with Deborah Duffy. I honestly could not have asked for a better and more professional estate agent. Deborah was really easy to deal with, up front , honest and straight to the point . There was not a moment of doubt in my confidence in Deb to deliver what she promised me. And that she did, she went hard and fought to get me the price I wanted, she convinced me to stay positive and to trust her as she knows what she's doing even though I thought that the person who ended up purchasing my property wasn't our buyer, she kept me sane through it all, it's stressful enough selling a property as it is. If anyone is looking for the best estate agent in Cairns then look no further. Deb was very helpful for all my real estate needs. Thanks a lot Deb. Deborah recently sold our property for us in Cairns. We found Deb to be very knowledgeable, efficient and a great communicator. We live in Brisbane so it was great to have an agent working for us who we felt that we could count on. Deb provided us with weekly updates and when it was time to sign a contract we felt that we could rely on Deb's opinion and the whole process was completed in a very timely and satisfactory manner. We would highly recommend Deb if you are looking for someone who will do all the work for you and get the job done and keep you in the loop from start to finish. Thanks Deb we are so glad that we picked you! Sensational service! I have sold several properties and it was refreshing to receive a no nonsense, honest and factual appraisal that was on the money. As a result, the property was sold quickly for a price I was more than happy with. I am happy to recommend Deborah Duffy Estate Agent. I found Deb to be open, honest and diligent in selling my property. She was exceedingly helpful with tips on property presentation as well as organising photographers. In addition to giving fair warning of property inspection, Deb was prompt with feedback. Many thanks. May all your putts go in. Kay. Thank you for the lovely gift basket. It's a nice thought and much appreciated. Thank you also for your patience, persistence, courtesy and professionalism. Hello Deborah! Thank you so much for your lovely basket! I really appreciate it as well as all the effort you put into the sale of the unit. Thank you! 5 star! House settled today! Thanks to Deb, you were professional and went above and beyond. You made selling a breeze, we appreciate all your hard work. 5 stars!!! Deb was amazing, very professional, made selling our investment property easy! With us living interstate, without Deb, selling our property could of been a stressful event, but she made it very easy and quick! We were recommended to Deb from family and they too had 5 star reports of Deb! Thank you Deb! A huge thanks goes to Deborah for guiding us through the process of buying our very first home for ourselves and three children. Deborah had honesty, great service and professionalism during the whole process and made the experience enjoyable and exciting. Deborah was by far the best Real Estate Agent we have come across. We are very happy in our new family home and are appreciative of all the hard work and effort Deborah put in. Not to mention the hamper was a wonderful surprise! Thank you very much for selling our property for us while we were on an overseas holiday. All the hard work done for us while we were holidaying, all the while receiving up to date briefings daily. What an awesome homecoming present, all the work done for us. Extremely impressed with your dedication to service and commitment in obtaining the best price for our property. We highly recommend Deborah Duffy. We found her to be very professional, efficient and friendly. The knowledge she has within the industry made us feel very confident. Deb has sold 2 houses of ours and we could not ask for a better outcome on both sells. Whether you are looking for a home or selling, Deb is the one! Thank you for your determination and we look forward to working with you again! Dear Debbie, I just want to thank you for going out of your way so many times during the contract period on my apartment. This helped me no end, to assist arranging all those pre moving in jobs I wanted to achieve. Your help made the process so much smoother and less stressful. Love to have you back one day to see how different the apartment now looks with new paint, carpets, curtains and my touch. Thanks again Leanne Desaunois. Ben and I would like to thank you for assisting us with selling our land in Gordonvale. With this ridiculously hard market, you were very patient with us, your knowledge of the area, price points and advice really helped us achieve the best result we could get. Your attention to detail was great, and you went over and above the call of duty to check on the land organised for it to be mowed etc.... Thank you once again! Recently Deborah Duffy was the real estate agent responsible for the selling of my late brother's house. From the outset, Deborah was someone to rely on to see our way forward after the bereavement in the family. We were based in Brisbane and it was comforting to know everything was well in hand so far from home. In the months prior to sale, Deborah provided invaluable advice in order to prepare the house for sale. This included sourcing best quotes for work on the property, liaising with tradespeople and organising maintenance, as needed. Consequently the house, yard and pool all presently beautifully. Deborah in her own friendly manner showed many prospective buyers through the house and followed up all leads of those who showed an interest. She was often working after hours even when she was under the weather herself, diligently organising house inspection sand other relevant preparations relating to the property. Not surprisingly, due to Deborah's tireless efforts and professional approach the house sold quite quickly. This was after intelligent bargaining whilst at all times keeping us informed of the current status. In the end the house sold at a very favourable price. We are very fortunate that Deborah was able to handle this very big project as she did such a wonderful job. We regard her as trustworthy and a woman of integrity. We would highly recommend her as a real estate agent. Great to hear that you are going out on your own. We were really impressed with the level of service you gave us when we were purchasing our investment property. We would be happy to recommend you to anyone wanting to purchase a property. Hi Deborah you are a very good and friendly lady and I am very happy that God sent me to you to help me. Thank you very much for your time. I wish you good luck in your future life and God bless you. Bela and I would like to thank you very much for selling our home. Your service was exceptional and of a high calibre. Your confidence reassured us throughout the whole process and we are very pleased with the outcome. We would have no hesitation in recommending you. Thank you again so much and we wish you all the best. With warm regards, Michael & Bela Erbes. I recently had the pleasure of dealing with Deborah Duffy with respect to the purchase of a property in Yorkeys Knob. At all times I found Deb to be friendly, efficient, accessible and professional. The experience exceeded my expectations and I hold her services in high regard. We just wanted you to know how grateful we are for all that you have done for us! Your honesty, helpful advice and hard work has been truly appreciated. Thank you once again and we will be sure to recommend you to anyone requiring real estate services. From the bottom of our hearts. Thank you! Thanks for the good work you did with the sale of our house. Thanks also for the unexpected box! You have a gift of salesperson ship! We thought also your photographer did very good work to present the house so well. We will keep you in mind when looking for more property in Cairns and refer folks looking at real estate to you. Thanks again! Thank you so much for the beautiful gift basket. I can't quite believe the house has sold as yet. Although it sold for less than I hoped I am delighted it is sold and very grateful to you for making it possible. I now know it couldn't have been an easy house to sell and without your particular expertise who knows how long it could have taken. Congratulations Debbie on your award win on "Top Media Exposure for Queensland" A great result for you as a leader and your team. You are an inspiration to others - with your hard work, leadership and vision you are a testament that you can achieve great things. Well done! We knew we were selling in a tough market and decided to go with a name that has an outstanding reputation. From the moment Deb came out to give us an appraisal on our family home to when settlement occurred...we could not of asked for a more hard working, upfront Agent!. Even after the contract was signed and sent off to the solicitors Deb kept in constant contact with both of us and the buyers to ensure a smooth settlement. From the word GO, Deb kept us fully informed of every enquiry made on our property, at the end of each Open Home Deb hung around to give us the feedback from prospective buyers and her weekly reports emailed to us were very informative. Deb secured us a buyer within a reasonable amount of time and we are very happy with the price she got us. In fact we were so happy with her performance that we have since used her to help with the purchase of another property and we would use her again! We can't recommend Deb enough...don't hesitate, you won't regret it! Just received your fabulous gift basket. It's wonderful - full of all the things I love! Thank you so much for your assistance in the sale of our property. I would be more than happy to recommend you to anyone. You were professional, understanding and very helpful. We recently purchased a unit at Trinity Beach and we could not have been more pleased with the service provided by Deborah Duffy. The process was seamless, professional and friendly. We would have no hesitation in recommending Deborah to anyone buying or selling in this wonderful area of the world! Debbie provided a fantastic service to us. We loved her approach and in particular her ability to share our needs with her client. We highly recommend Debbie and am grateful that we worked with her to purchase our new home. This is just a brief update on our new life at Ulysses Blue. It is difficult to properly explain how much better our life is since we moved down from Kuranda and your advice, powers of negotiation and tenacity is what made it all happen. A good real estate agent, genuinely, can make dreams come true and you did that for us. We have a beautiful home, in a beautiful location at the right price with a minimum of fuss and for all that my family and I are truly grateful. I purchased a property at Trinity Beach Queensland in January 2011 and Deborah Duffy was the agent conducting the sale. I met Deborah in January 2010 and throughout 2010 I found her to be most professional, co-operative and patient. Like most purchasers I was nervous about the economy and so kept changing my mind until late 2010 when contracts were finally exchanged. Deborah was able to accommodate me with extensions of time over the Christmas period as my lender was unable to advance the loan monies to enable completion to take place. I found Deborah to be completely accessible by telephone and email throughout the transaction and although she was engaged as the sellers agent I found her to be fair and impartial to buyer and seller. I had such an uncomplicated experience in this transaction that when I re-enter the market either as a buyer or seller she will be my first point of reference. When we brought our property Deborah looked after us with five starservice. She was prompt, professional and very knowledgeable. A delight to deal with and the best agent that we have come across in Cairns! We'd like to thank Deb for her friendly, professional service while purchasing our property in Redlynch. She was always prompt at returning our phone calls and responding to our enquiries. We had a few dramas regarding the sale of our house in Townsville so it was a relief to find working with Deb so easy and for the purchase to run smoothly. We love our home and are sure we will be very happy here for years to come. We have no hesitation in recommending Deb to our friends and family in the future. We just wanted to say thank you - you are undoubtedly the loveliest real estate agent we have come across. My wife and I recently purchased a unit in Cairns. The sale of the unit was organised by Deb Duffy. The first unit that we were going to purchase turned out to be complex due to marriage breakdown issues, however Deb kept up informed along the way and spent a great deal of her time trying to work through these issues. In the end the vendor unfortunately withdraw the property from the market. When the unit we purchased came up for sale Deb again organised this in a most professional way. It was all done without any fuss whatsoever. Deb also recommended the lawyer that organised the conveyancing and we found this company to be excellent to deal with as well. We have brought a number of properties over the years and Deb is one of the best agents we have dealt with. Her customer service is excellent and we would highly recommend her to anyone. We hope to one day purchase another unit in Cairns and not matter what agent is marketing the property we will be talking to Deb first. When we relocated to Cairns from a remote community, our biggest dilemma was how to house hunt. That's when we "found" Deb... We would find houses suitable on the internet, email Deb the details and she took care of everything. Deb would contact the selling agent, organise for an inspection, pick us up at the airport or our hotel and drive us around to see each house. It didn't matter who listed the house or who we needed to see, we only had to deal with Deb. Deb also researched other homes between our visits to Cairns and would send though more suggestions as we made our "to see" list, while providing expert local advice about Cairns. Deb organised pest and building inspections for days when we could attend and be on the premises. On moving day, Deb organised additional cleaning of our new home and had minor repairs including replacement of a door all finalised at her own expense. She put us in touch with other tradesmen who we needed and also recommended a fantastic pool service. We would highly recommend Deb Duffy as your real estate agent. The service Deb provided is highly valuable if you are living in a remote area and need to purchase or relocate in Cairns. She was our one point of contact for absolutely any property in Cairns we were interested in seeing. She provided advice around our needs and we found a fantastic family home for ourselves, three kids and our dog. It really felt that she was working for us and during a three month search she communicated constantly with us until we really found what we wanted. We have already recommend another family from our community and they have also found a house. When dealing with Deb, it is all so easy and uncomplicated. Thanks Deb - we love our new house!!! Deborah Duffy has just sold my house in Smithfield, Cairns. I am very happy with the result and found her services to be very professional and prompt. Deborah and the whole office are always friendly and helpful. Thank you from Dannielle and myself for the hamper and e-card you sent. We are very happy with our new home and appreciate the efforts that made our acquisition troublefree. Wishing you a Happy Christmas and New Year and we will pop in and say hello when our family eventually makes the trek to Cairns. Thank you for selling my house at Smithfield. The manner in which you sold the house was very professionally done, from the photos taken to the walk thru tour and the open homes which were done in a very special way. This helped sell my home in a very short time. Thank you once again! Frank and I would like to thank you so much for every effort that you put into the sale of our investment property in a tough market. Being in the real estate industry myself your service is exactly the same as I provide my clients in Perth and I know what commitment it takes. Also being so far away it was always reassuring to have you looking after us and in our best interests. It was very much appreciated that you were available to contact at all times and to have constant feedback from the market honestly. The extra mile you went to arrange for tradesmen was very much appreciated as we were in no position to do this from Perth. We could not recommend you highly enough to anyone thinking of selling. THINKING OF SELLING AND WANT AN AGENT TO GIVE YOU 110% PLUS - WITH DEB, YOU HAVE FOUND YOUR AGENT! My apologies for the belated "Thank You". Karen and I greatly appreciated all the advice, support and your professionalism during the process of selling Albatross. Your contribution during the entire process was seamless and made everything easy for us. We look forward to the same with Seclusion. Thank you for arranging and completing the sale of three properties that we required to be sold. I have been impressed with your professional and personal work that has been completed. I would like to recommend your services to all other clients that you come into contact with. Thanks for the fabulous gift basket. Scott and I are looking forward to many happy years in our new home. Wendy and I would like to thank you for the help and assistance given to us in finding a suitable investment property in Cairns. Part of your cleverness was to listen to all of our requirements and find the best fit, which turned out to be something we hadn't envisioned at the outset. However, the apartment we selected with your help is the right choice and an excellent fit. Knowing your market as well as you do, based upon extensive experience makes our job and yours much easier. You were generous with your time and frank with your assessment. We really felt at all times you were there to look after us. I'm glad we met and would have no hesitation in recommending you to any of our friends or acquaintances who are looking to buy or sell in the Cairns area. Keep up the good work, and we hope we will catch up with you when we are next in town. Luke and I received the gorgeous book in the mail yesterday. Thank you so much for thinking of us. The book has been getting good use over the two days, our girls are loving it, as are we. Dealing with you in the purchase of our house was a pleasure. As you know it can be stressful purchasing a property but you made the process very easy for us and assisted us when possible. We move into our new house permanently on Saturday and are very much looking forward to making it a home. Thank you again and when we look at purchasing another property we will certainly keep you in mind. Deborah thank you for selling my property at Reed Road, Trinity Park. I listed my property with you in September 2009, during the Global Financial Crisis and even though my property was 40 years old and competing with numerous brand new homes close by, you were able to obtain a contract and sold it for me by February 2010. I was impressed by your professionalism, honesty and dedication to the task of selling it. At all times you kept me informed, before and after open home days and you didn't allow the promotion and advertising of my property to lapse. Once again I thank you and your support team for your courtesy at all times and for making the sale of my property stress free. Weeks of frantic unpacking have led to delay in discharging ones duty we fully intended to attend to promptly. That is, to thank you most sincerely for the professional and personal guidance and assistance you gave us during the sale of our house in Redlynch. We are now happily settled in our new unit and the house has at last that contented lived in look we have been striving for. Thank you again. I selected Deb Duffy over other available agents as she seemed the most determined. That assessment proved accurate as she went about the sale very enthusiastically. The property sold in very good time in a market that was sluggish and at a poor time of the year. She communicated well throughout the process. Deb organised inspections then adjustments and repairs to the property to maximise appearances. She negotiated between two potential buyers and through her efforts we settled on a sale price $25K higher than I expected. All went well. After settlement we were pleasantly surprised to receive an impressive gift pack from Deb as a token of goodwill. Thanks Deb. Selling your first home is one of those major life events that many people will have to go through. For us it came sooner than we expected as we had to move to Brisbane for work. Our first home held a lot of memories and seeing two of our children come home from being born to its walls and all three children havinggrown up under it's roof. With all that emotion and it's importance within the scope of our little family's history, it all meant a lot to us coupled with the fact we knew nothing about selling houses. To be honest we were very nervous we had heard the usual horror stores about people selecting the wrong agent and all the pitfalls that come with these bad decisions. We decided to speak to friends and family and one name was suggested by many of the people we spoke to. Deborah Duffy. So we decided to talk to Deborah and it became evident from the outset that she understood what we were looking for and going through. Her professionalism and guidance from the beginning always gave us the reassurance of knowing we were being dealt with by people that cared about the sale of our home. We felt in control every step of the way being advised by Deborah about each event within the sales process coupled with open and honest advise of what to expect from the open home all the way through to the sale of our house. This made all the difference. It turned the selling of our home into a comfortable process with the reassurance that we were in control and Deborah placed the importance of the sale of our first property as highly as we did. So why would we recommend Deborah Duffy - as a first time seller we wanted confidence in the business dealing with our home sale, that she saw the sale as important as we did and finally to feel in control and informed every step of the process. Deborah was always available to talk to us and only too happy to discuss issues we thought were relevant. We commend her to you and believe the sale of your home is in safe hands dealing with this great agent! Just a line to thank you for the way you helped my wife and I purchasingour new property and the after sales service was first class. I employed the services of Deborah Duffy for advise and ultimately the successful sale on my home at Lydia Street, Smithfield Heights. Deborah Duffy offered sound advice based on experience and know how where others simply failed in every respect. I would recommend this service to any prospective buyer or seller. I recently sold my property in Redlynch and initially did not know which agent to choose. I asked a few people and "Deborah Duffy's" name came up. I was told that Debbie would do the job and do it well. I accepted this recommendation and couldn't be happier with the result. I have dealt with several real estate agents in the past and I can honestly say that Deborah was the most professional, courteous and diligent that I have come across. Throughout the sale, I was kept regularly informed with an honest account of how the property was progressing right up to the settlement day. I believe Deborah has the experience, knowledge, professionalism and courtesy to sell any property that becomes available and recommend her in full confidence. Now we're settled into our lovely home at Village Terrace, Redlynch which we purchased from you in late January 2007, we would like to show our appreciation as follows - every weekend for the past 12 months we have travelled from Mission Beach to Cairns looking for a home which would most suit our tastes and lifestyle. We visited a number of real estate agencies who, in the main, just wanted to make a sale. However our luck changed dramatically when my wife and I called into your office and were met with such a friendly warm welcome, you listened to our requirements and showed us a home which we immediately loved and purchased a few days later. The purpose of this letter is to personally thank you and your staff for the help and friendly introductions to the area we now live in. Rest assured you are well recommended to all our friends who may consider moving to Cairns. Wishing you a most successful year. When it came to choosing an agent to sell my property, I wanted someone who was capable of achieving maximum advertising exposure,but also had the professional credentials to then capitalise on that. Deborah Duffy and her expert team exceeded my expectations on all counts. Quality advertising, courteous service, regular detailed activity reports AND achieving the price I wanted, made the whole process hassle free. Thanks so much Deborah.